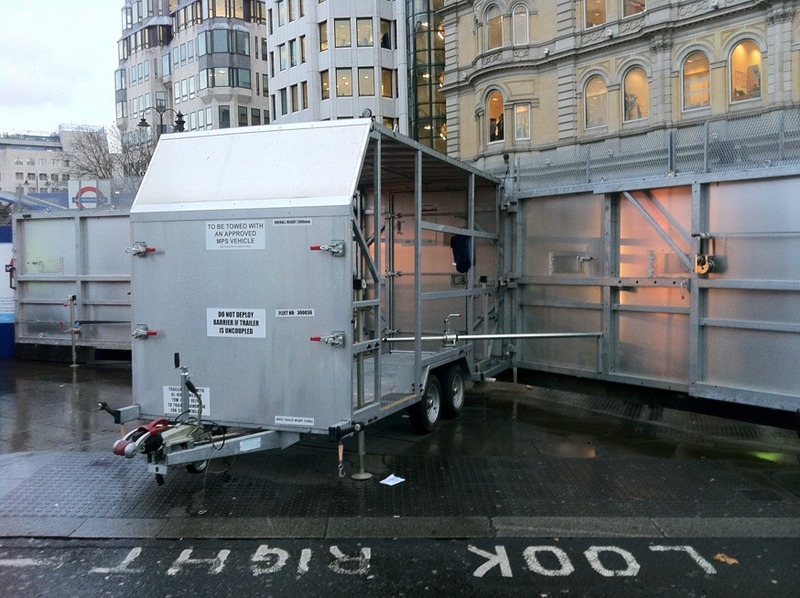 This new steel cordon was first deployed in Westminster, London, November 30, 2011 on the day of the national public sector strike. From a small cart, transported by a van or SUV, steel walls can be unfolded and then locked together with other carts creating a long insurmountable wall. The 10ft high retractable walls contain doors and small surveillance hatches. Purchased in 2008 the walls were intially commissioned for CBRN preparedness - to be used in the likelyhood of a Chemical, Biological, Radiological, and Nuclear attack. They are now available for general police use.